Today, I have a real treat in store for you. I've been so overwhelmed by the interest in this Meet A Mum feature since I started it a few weeks ago so today, rather than just introducing one yummy mummy to you, I have two marv mums instead! Hi, I'm Louise and I live in South London. I have an 8 month old son who is currently crawling and keeping me busy. He is my first child and a very welcome addition to our family. I don't know if I knew I wanted to be a mum,.I didn't think I would be a mum to be honest because when I was 15 I was having an x-ray and the doctor said to me that because I had a number of x-rays then it was likely I would never have children. Quite unbelievable now really and I didn't ever say anything at the time but it did affect me and my thoughts on having a child and being a mum. It changes every day I think! I have really enjoyed just exploring the world through a babies eyes and having a new perspective. We went to The Big Church Day Out recently and it was great to sit and listen to bands and watch how much he loves music and being around people. This is a tricky one, you see whatever people tell you before you become a mum never really resonates until you are one so even if people had said things to me, I don't think I would have been able to take them on board in the same way. I suppose I wasn't that prepared for the judginess you find now and then. It's hard when you feel you have to choose a 'camp' and stay in it - for example breastfeeding/bottle feeding, baby wearing etc... just because I make a personal choice it doesn't mean I expect everyone else to take the same route. Oh goodness, three changes of clothes for my son, socks, rattle, building blocks, Sophie the giraffe, spare change, teething powder, teething gel, muslins, nappies, nappy sacks, baby wipes, purse, keys, phone ( it has become my hand bag too!) rice cakes - everything but the kitchen sink essentially - I always get comments that it is so heavy. It has to fit my life in it outside of the house is how I look at it! Baby bath sponge - not one to wash them with but a sponge you put on the bottom of the bath to lie the baby in. We still use one now, it means you have two hands to clean them with and you don't get backache! Fisher Price play mat - we have the jungle one that plays songs and makes jungle sounds. We have used it pretty much from birth and he still loves it now. Moby wrap - this was a lifesaver in the early weeks and months, you can give them the closeness they crave but still be operational! 0-3 months we didn't need outfits - vests and baby grows work the best because you are changing so often and need to be able to get to them easily. Baby bath - He hated it, it was difficult to use and in the end we opted for the sponge. Baby toiletries - good old fashioned water does the trick. Fisher Price - We have the play mat and we had their swing too and a number of their toys. They know what they are doing and get it right! Little Life - Only discovered this recently but they do amazing carriers and travel equipment and everything to make it easy for day trips or longer out and about in nature. I had to resign from my job as they could not accommodate part time hours, this was a bit of a shock at first but I think in the long run it was for the best. I am currently job hunting but in the mean time I am a volunteer member of our local residents committee and we have just run an amazing Big Lunch on the estate we all live in, I volunteer for our local NCT branch as the publicity officer and I am a local editor for Mumsnet running the Sutton local site Mumsnet Sutton. I will need to go back to work and not sure how I will find it to be honest but am hoping to work mornings or afternoons so that I still have part of the day with my son! I really enjoy the community of being a mum, I know I spoke about judginess earlier but on the flip side of that, there is great support out there. Twitter is excellent and I have also found a lot of solidarity among the blogging community. 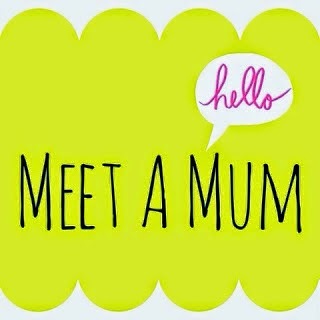 I like to take part in all the blogging and mum chats on Twitter and also enjoy speaking to and making connections with other mums. I also like the fact that becoming a mum has given me the confidence to try new things, to take risks and look at new opportunities. I really enjoy interacting with and playing games with my son, I use Pinterest all the time to find creative ways to play and occupy him, there is a wealth of information and ideas on there and really single things too. I suppose it is in my voluntary roles to be honest been though they are mum related - they give me the opportunity to focus on using my skills and getting out and about meeting people! My blog is www.redeemedstories.com - I have had a bit of a blogging dry patch recently and am hoping to get back into it so all encouragement is welcome! The community, the opportunity to be part of something bigger than just your local area, the chance to write about things that resonate with others and may even be a help to them. I love reading other blogs too and chatting about ideas for posts, guest posting and making friends! I was once on television with Roy Castle and I have a strange ability to recall 80's/90's children's TV theme tunes! Your little boy is the spitting image of your Louise! What a great photo. Thank you for being so open and honest. 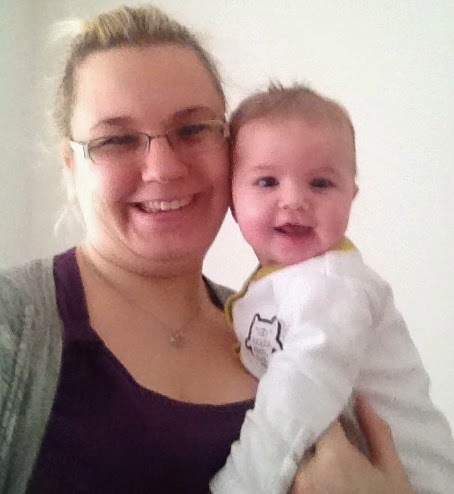 Hello #meetamum readers, my name is Charlotte, I am 29, from Preston, Lancashire. I am a first time mummy to Phoebe, who is currently 7 months old. She was born by Emergency Caesarean after being induced, 13 days over. She just wasn't coming as quickly as everyone wanted and ended up being stuck under part of my pelvis. From a very early age, I have always loved children and seemed to have a natural talent with them. Let me tell you, having your own is totally different! Every day brings something new, which becomes my favourite moment. She recently learned how to clap her hands though, which I had been teaching her for weeks and to actually see her do it, is my favourite moment for now (until she learns something new). Breast may be best but it's not necessary. What is necessary is your child feeding properly, breast or otherwise. Before I had her, I was indifferent on breastfeeding but as soon as I held her in my arms, my maternal instinct kicked in and i was desperate to feed her myself. In the end, I was prescribed morphine and couldn't breastfeed and at first I was gutted. But I soon realised it was far more important for her to be fed, wherever it came from. We stuck with bottle feeding in the end, I was poorly after the c-section and my husband didn't want the stress of breastfeeding to delay my recovery. There is too much pressure to breastfeed, which makes those of us who cant feel like a failure. I wish someone had told me it doesn't actually matter. Nappies, wipes, disposable bibs, ready mixed milk, bottles, change of clothes, various toys and teethers, bonjela, Heinz Biscotti Biscuits (chocolate of course! ), bottle warmer. Tommee Tippee Perfect Prep Machine - A little pricey but we got a good deal and this is the best thing we have bought by far. The bottle is ready to feed in 2 minutes. Very helpful for night feeds. We recently went on holiday and couldn't take it with us (believe me I tried) and we had to resort to the old fashioned way of making the bottles and it was a nightmare. This has definitely saved us a lot of tears. Cossato Changing Station - this came in particularly handy after having a c-section, has a hidden bath too so a great all rounder. Not sure what I would have done without it. Baby TV - Not so great for adults, brilliant for babies. It was definitely a lifesaver for me. Snug Seat - Like a bumbo but by a different brand. Phoebe just wont stay in it longer than five minutes. All Baby bath products - it's all well and good having a lovely lavender smelling baby but in essence, water is the best for babies skin and now that Phoebe has eczema, it has made us realise how drying these products can be. Tommee Tippee is by far our favourite because it is so consistent. Everything is just what you need. For clothes, we like Tesco and Asda, you can't go wrong with the quality for the price you pay. I am not a working mum, lucky for me, my hubby is supporting me in my quest to raise our children myself, rather than rely on help. I completely agree with you on that Charlotte - they can always make us smile can't they? Thank you both so much for taking part in Meet A Mum today! It really is so interesting to get to know other mums and today's post just goes to show how different we all are in the way we approach mummyhood. There's no right or wrong which is what I love about this feature, as I think we can all learn from each other and share our experiences to help others who are unsure or need reassurance.